What I did find out is that this is so much more than a villa. It is the Forte Belvedere, the famous fortress built in 1590 to protect the ruling Medici family of Renaissance Florence. But as I continued to research, I discovered so much more. Shaped like a star, this fortress is equipped with mysterious, medieval passageways. The Medici’s meant business when they had it built. They needed a quick and effective escape from the city that would provide adequate protection from invaders and those who posed a threat to this mega-wealthy banking family. 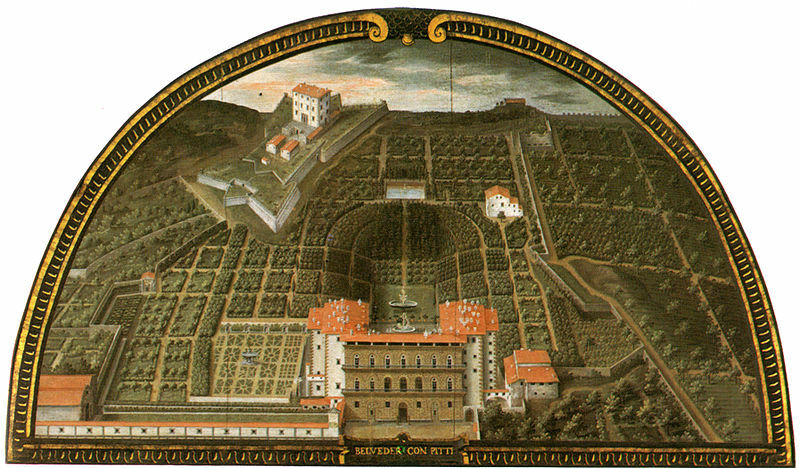 The drawing below gives some scope of the area and shows the Forte Belvedere in the upper left surrounded by the star-shaped walls. It is positioned at the edge of the Boboli gardens. The Palazzo Medici is at the bottom center. Michelangelo himself engineered the Forte Belvedere’s strategic location and structure. Surprisingly, the architect who designed the Forte Belvedere, Bernardo Buontalenti, also invented gelato in 1565. A man of all trades! He supposedly gave the recipe and refrigeration techniques to Catherine de’ Medici. Lucky lady, and most likely envied among the ladies of Florence. Galileo completed some of his important discoveries in astronomy here among stunning views of Florence and the surrounding countryside. But probably the one event most of us relate to today that recently happened here is the wedding of Kayne and Kim Kardashian. Although the Forte Belvedere is not typically available for weddings, the Kardashian’s were convincing with a 300,000 euro rental fee. I have not yet hiked up to the Forte Belvedere, but on my next visit to Florence it is a must. I’ve been told by others who have, that the views of the city are magical and even more so when enjoyed with a drink from the bar. There are few crowds here which often makes it a better viewing site than the better known Piazzale Michelangelo. Have you been to the Forte Belvedere? If so, please share your thoughts below. Ah that’s the photo we see each time I open your blog! The things that money can buy- and this applies to the Medici and the Kardashians I guess. I haven’t ever walked up there on my three visits to Firenze- maybe next time. I have always loved that photo on your blog header, now I know what it is. It seems like around every corner in Italy there is another lovely surprise. How fortunate are we that we get to experience so many of these lovelies. 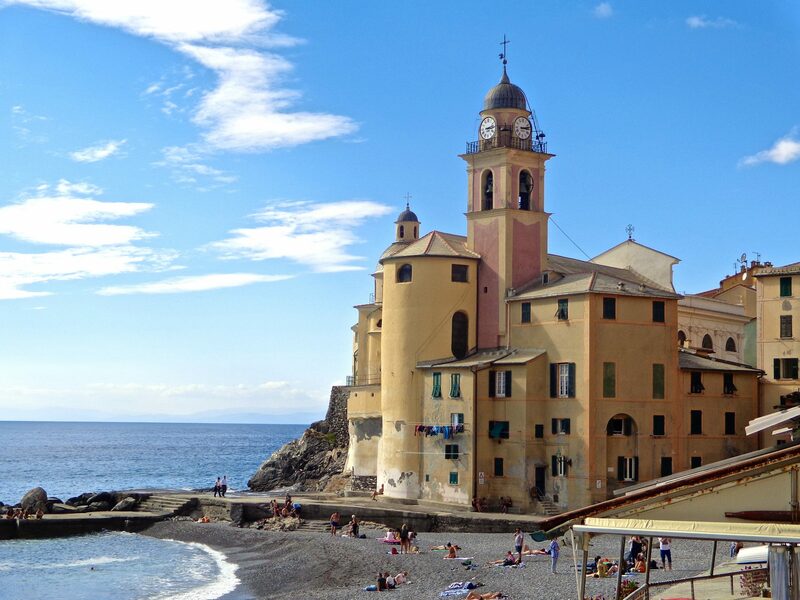 Either by travelling to Italy or by reading these lovely blogs. When we were living in Firenze in 2012 the Forte Belvedere was still closed to the public for safety renovations, so we could only view it from outside. Maybe if I’d offered them €300,000 they would have let me in.